A.L.M. 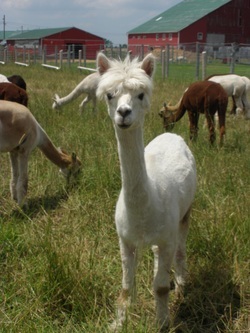 Grace K is a beautiful white proven female and would make a fantastic addition to any herd. 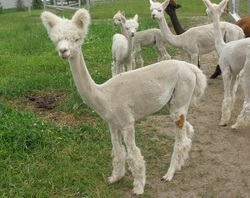 Grace is a phenomenal dam, producing plenty of milk for her cria and has also taken on an orphaned cria in addition to her own. She is reasonably fine and carries a fair amount of fleece. She is bred to A.L.M. 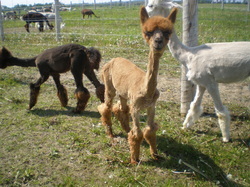 Leroy Brown for a cria due in mid summer 2011.